To us, a children’s room is so much more than merely a room with furniture in it. It’s the safe base from which your child explores the world, learns about big and small things and where the imagination can run wild. It’s also the place where your child can find peace and safety and where good sleep plays a big part. Hoppekids’ mission is to create the safest and most sustainable children’s furniture, which promotes good sleep, play and creative learning. Just like a children’s room isn’t just a room with furniture in it, children’s furniture isn’t just things which fulfill a practical role. Children’s furniture sometimes has to be a spaceship, a magic cave, a work space or a cozy reading nook. They have to embrace play time – alone and with friends, learning and sleeping. And last – but not least: They have to be so safe and sustainable that they can follow your child through the adventures of their childhood and be passed on to a younger sibling. We have our own factory, which makes it easy to manage our products and the materials we use. Our wood, for instance, is carefully chosen based on a number of criteria in regards to quality, irregularities and – of course – that it is sourced from a sustainable forestry. To minimize our waste, we use a computer to calculate how we cut the wood in the best possible way. We therefore have a surprisingly low amount of waste. Any waste is being used to produce energy for our production. We have our own sewing room where our skilled seamstresses create the textiles for our universes. The applications on curtains and other textiles are handmade. We do this because we believe it gives you the best possible quality. As a bonus, it’s also more fun to touch for a curious child who is developing their senses. All of our furniture is transported in flat packs. You have to build them yourself but we believe that it is worth it. By packing our products like this, we ensure that we can deliver furniture without damage and impact the environment as little as possible as we avoid transporting unnecessary air. 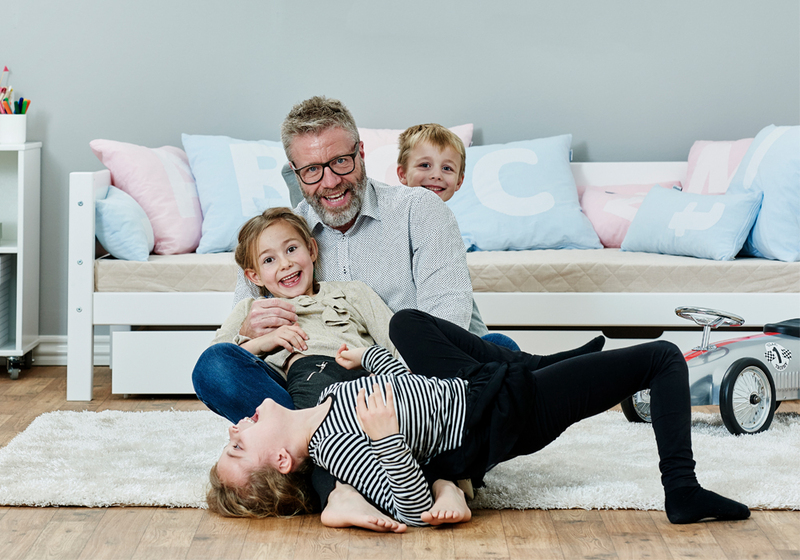 What does the Nordic Ecolabel mean for Hoppekids’ production – and for you? For furniture – and for many other industries – the production is what makes the biggest impact on the environment. That is why we are striving to create furniture which has as long a life span as possible. 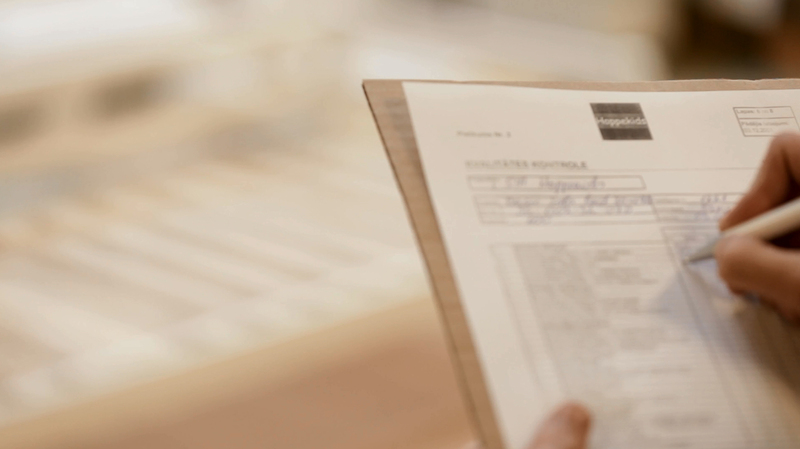 Furniture carrying the Nordic Ecolabel has to live up to strict standards regarding their impact on environment and health, as well as their security and quality. Our beds should be able to be passed on from a bigger sibling to a smaller. The bed should also always fit the child and the room in which it stands. That’s why our furniture is flexible and can be changed to always match your needs. It’s super easy – you can just add a module underneath your junior bed to make a brand-new high sleeper! We are working closely with the Nordic Ecolabel and it has been a pleasure going through our product’s life cycle – from before the wood is harvested and right until the bed has to be recycled. The result is a production which makes the least impact on the environment and exclusively use wood from sustainable sources. It also means that our products have the least affect possible in your child’s room. This is ensured by exclusively using water-based lacquer. We usually say that it’s perfectly safe to “taste” our furniture because there are no harmful substances in them…but, honestly: They’re not nearly as tasty as chocolate! Hoppekids’ dream is to create a better future for the children. That’s the essence of everything we do. It is the heart and soul of our every day. Create the safest and most sustainable children’s furniture which promote the good sleep, playing and creative learning.